When hard times hit a small copper town, mineworker Power (writer-director Gold) doesn’t wish for riches or fame; he only wishes that he’d learned to play drums. But his father (McKean) could never afford to buy him a drum set, so Power has embraced the next best thing: air drumming. Tired of the constant ridicule, with nothing but a few dollars, some cereal, and the support of his Aunt Joanie (Lynch), Power sets off across the country to the "paradise" of Newark, where an underground air drumming crew has invited him to join their team. But as the big air drumming competition looms, so does a rival--multi-millionaire drummer Dallas H. (Grenier), who thinks air drumming is an abomination and seeks to destroy Power and his crew. 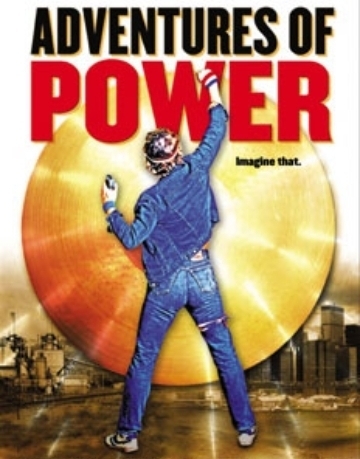 More than just a rock’n’roll comedy, ADVENTURES OF POWER is an epic fable about the American Dream--about making something out of nothing, and trusting in your own heartbeat as a way of changing the world. With a phenomenal soundtrack featuring hits by Rush, Phil Collins, Mr. Mister, the Dazz Band, and more, ADVENTURES OF POWER will have you drumming in your seat and cheering on your feet.